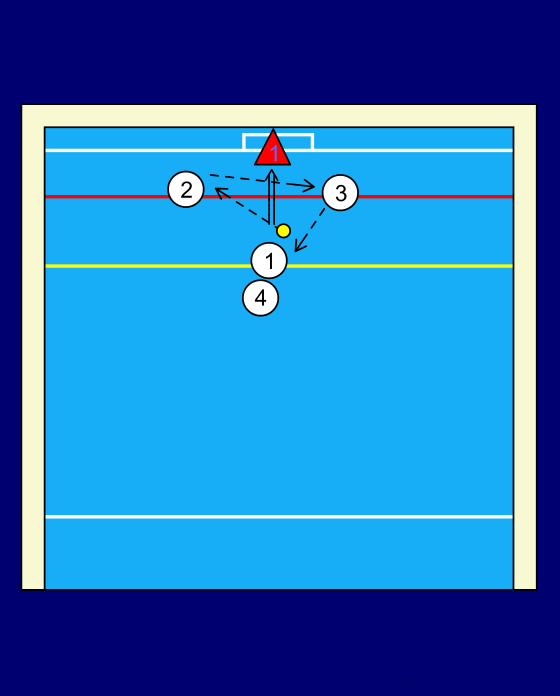 This drill is for shooting and passing. 4 or more players; 1 ball. Player 1 begins with the ball. Players 2 and 3 are a bit further than each post on the 2-meter line. 3 passes to 1 who takes the shot. 3 goes to the end of the line.